I think I have a B8 (2013) sportback SE. Would 21 inch rotors fit on it? Or is 20 the limit? I got 19 rotors for mine, deep dish/concave version, look 100 times better. I would have gone for 20" but the tyres on my 19" Y spokes were good, so swapped them over. Could have sold the Y spokes and tyres and got new 20" tyres, but hey ho. The Y spoke have got winter tyres on them now. Oh you get different types of rotors? Which type (model) do you have on yours? And are they genuine or replica? Last edited by crazeuk; 12th April 2019 at 12:26 AM. Lol. Okay. It's a very bad idea. Lol. And what is the easy way to tell the difference between different styles and part numbers? Yes, you can get 'flat' ones, which are fitted to A3, A4, A6. Concaved are fitted to A5 and A7, as far as I know. Mine are reps, but look as good as the originals. £520 for 4!! The 20" version was only an extra £40!!! I was tempted!! Definitely the concave version for me. Right now I have these on. I've heard the replicas quality isn't as good? From personal experience with bigger wheels and "rubber band" tyres i would say go for oem wheels rather than some aftermarket wheels as eventually you will get loads of problems. From historical experiences, i would agree, OEM is the way to go. The aftermarket imitations are never good. For this, i will certainly be looking for OEM. 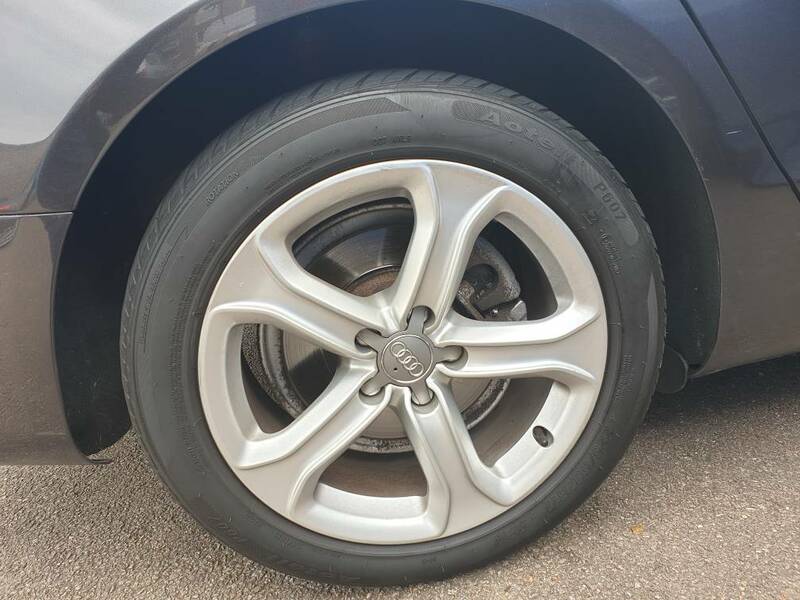 Are there tyre walls thin enough to support a 21" wheel on the A5 with the same rolling diameter as OEM? I'm running 20" and am on 30 profile tyres, can't imagine it being any lower lol.